I’m a New Englander. Tonight, marks the first snowfall of the season for us. There is a love /hate relationship between snow with most New Englanders. Every year, I get excited when that first snowflake drops. It just does not feel like the holidays with out it. That first snowfall is so beautiful. It is perfect and untouched. It makes the ground & the trees glisten and it just invites you to come out & play in it. Then the problem is you do, then realize that it is also cold & wet and that you would rather be inside by the fireplace sipping your cocoa. Last year was my daughter’s first winter. 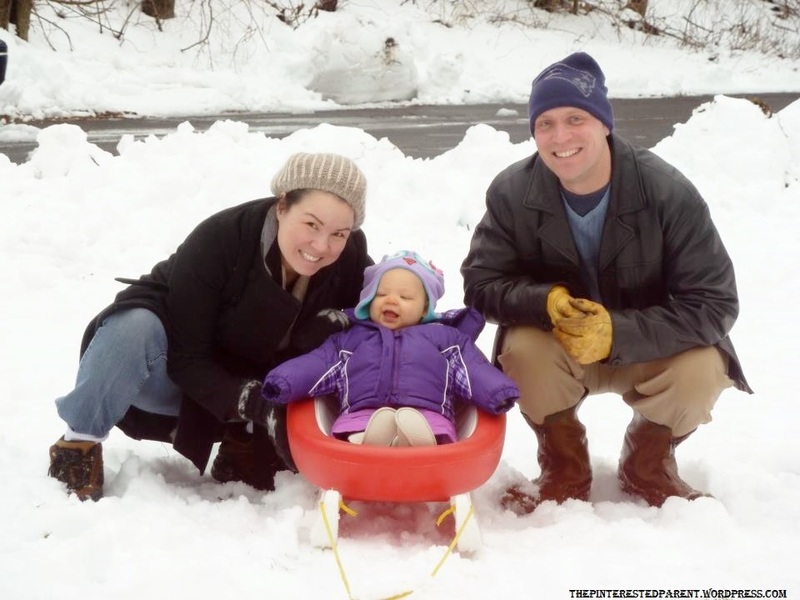 We couldn’t wait to take her outside & pull her around the yard in her sled, but once we got out there, I immediately began to worry about the cold. We pulled Mai around the yard a couple of times, took this happy family picture & then went back in the house where it was warm. Well the year flew by & here we are already into another winter. As the snow is touching down on the ground, I am already daydreaming about taking our daughter out in the snow again. I know myself though & the paranoid mommy in me will probably do the same again this year. 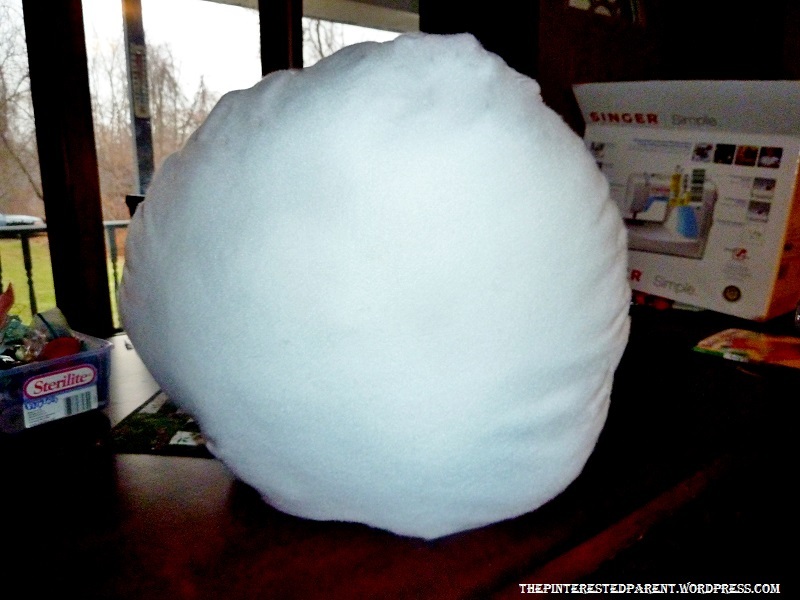 It made me think, I wish I could bring some of the fun of the snow into the warmth of our home. 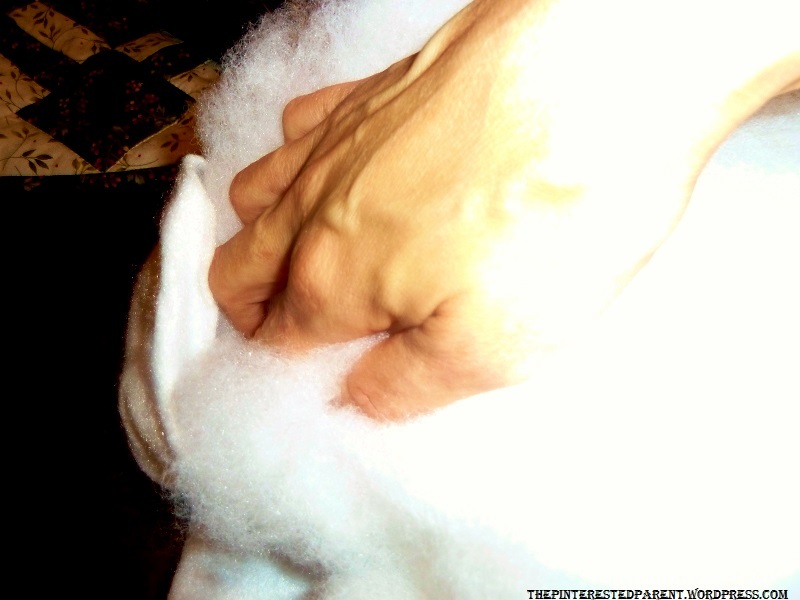 I have seen a number of felt projects in my travels though Pinterest & other bloggers. I have seen the felt Christmas trees, advent calendars & a clever felt gingerbread house. 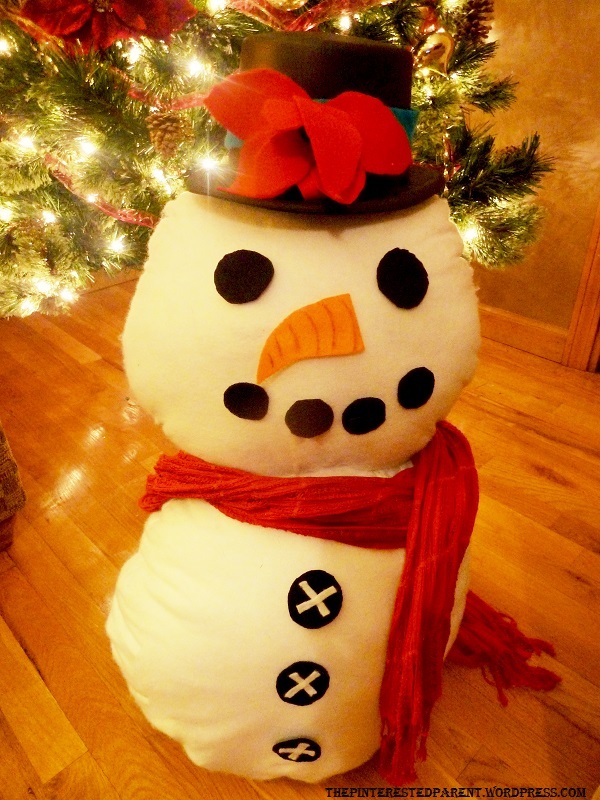 Why couldn’t I make a felt snowman? Let me just warn you ahead of time. 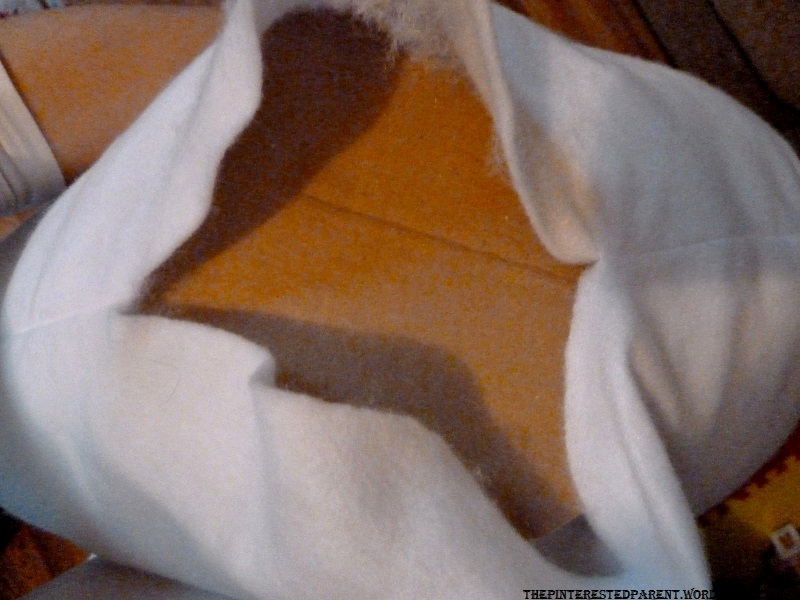 I am not a seamstress. Sometimes I see some of the other posts on here, of recipes, family anecdotes, photos & crafts and it makes me feel a little inadequate. 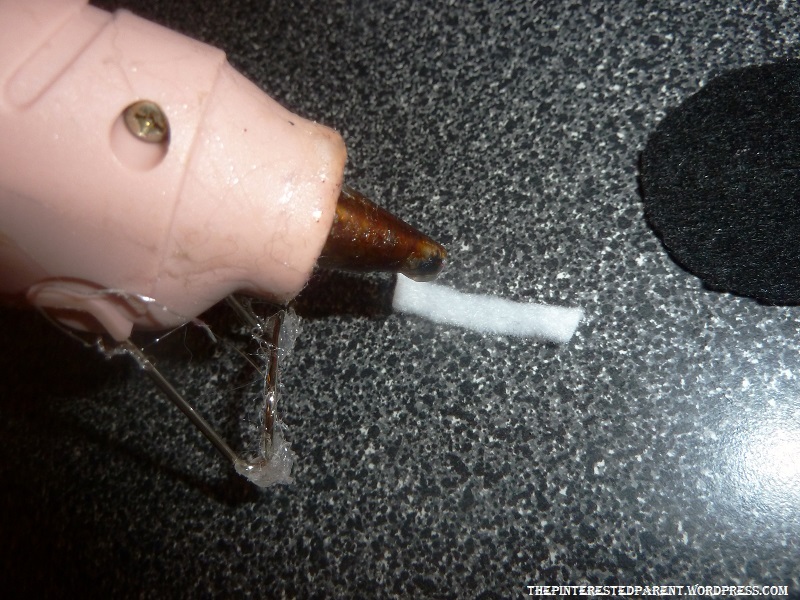 I am not a chef, I am not a writer, a photographer or a very good sewer. I am a mommy, with big ideas, a tight wallet & all the best intentions, so occasionally my projects come out less than perfect. This would be one of those times. 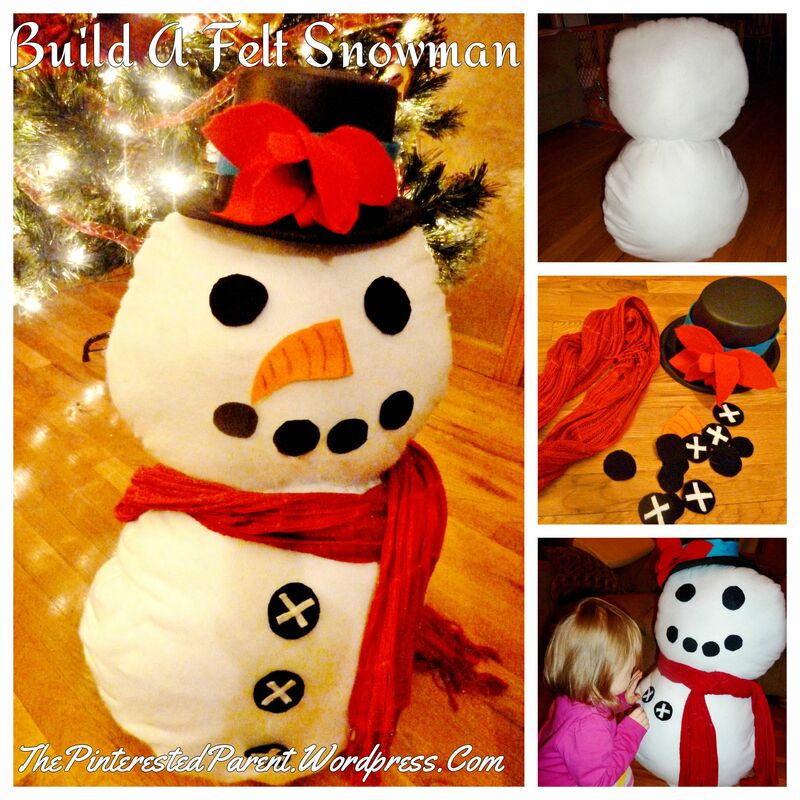 Decide how big of a snowman that you want. 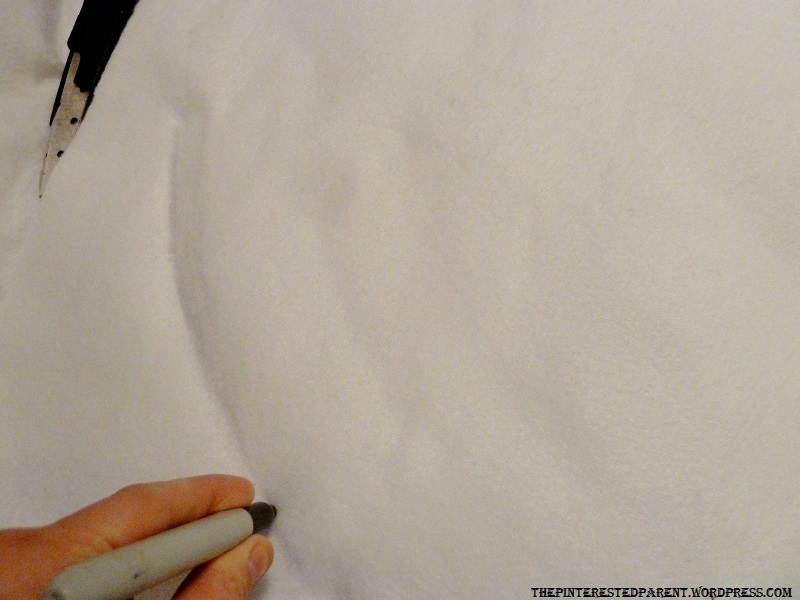 Draw out your circle on the felt. 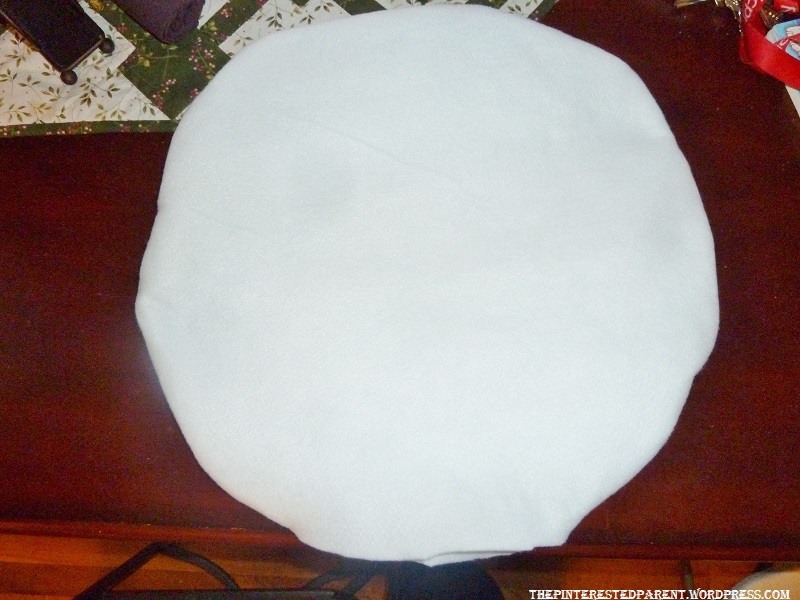 Cut 2 of the same sized circles. 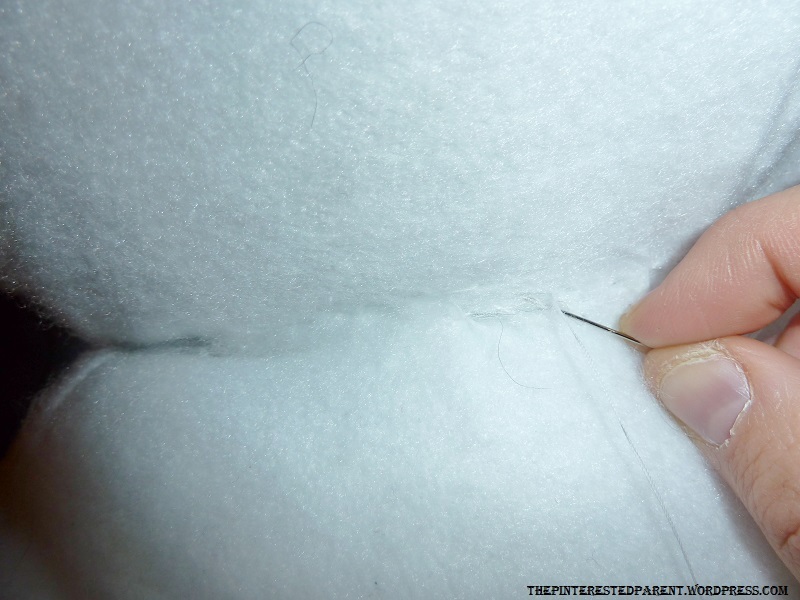 Sew the two circles together by sewing around the edges. 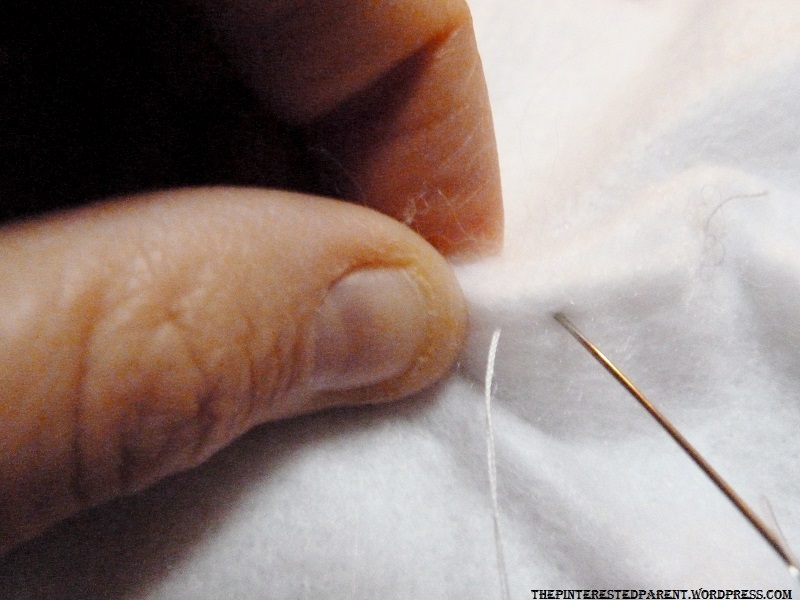 Do not sew all the way around. Leave a large opening unsewn. Stuff fiber fill in the open end. Here was mess up #1. I originally made the snowman just with the fiber fill stuffing thinking that this was going to be stable enough to stay upright. I was wrong. 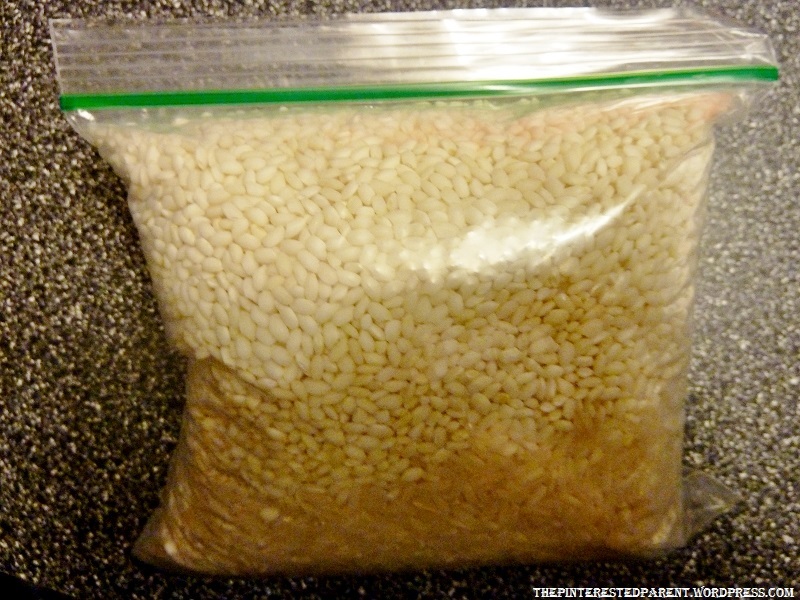 I reopened the bottom of the snowman & filled the bottom with homemade bean bags of Ziplock bags & rice. 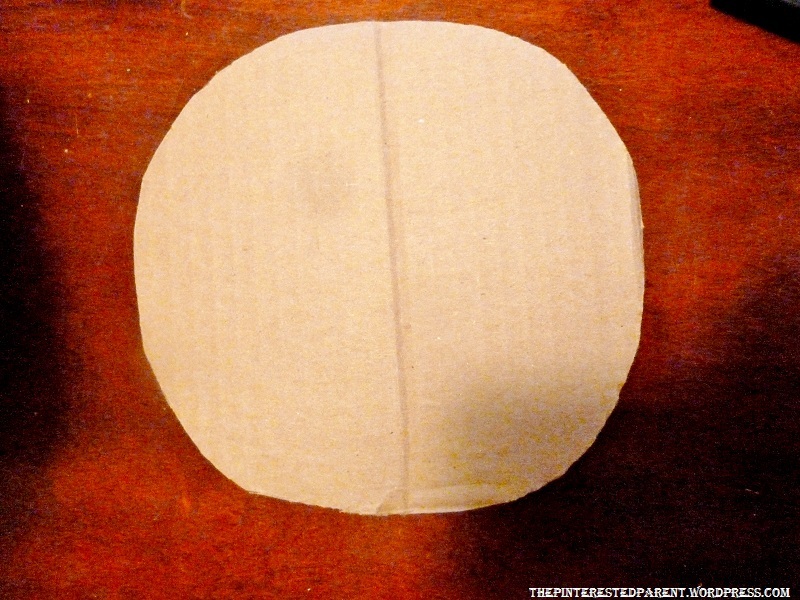 a piece of cardboard to fit the shape of the bottom of your snowman. 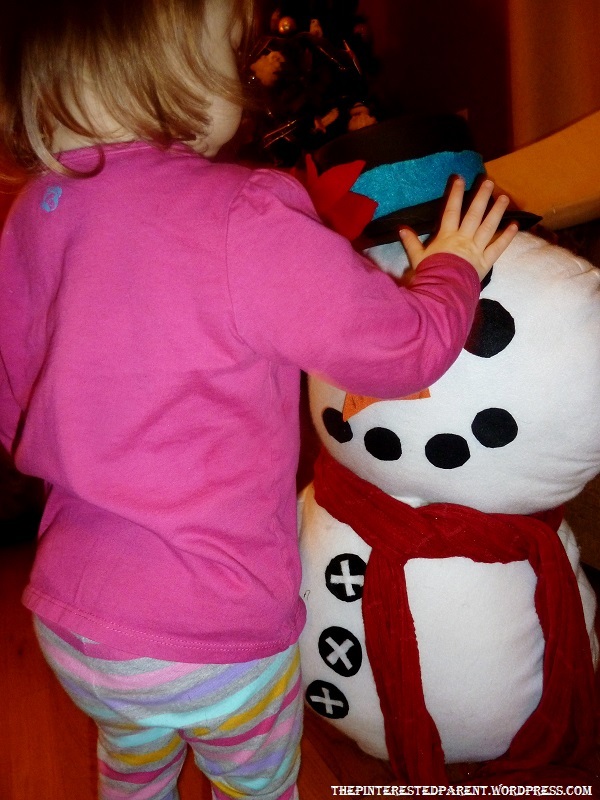 Place inside the bottom of the snowman with the bean bags on top. 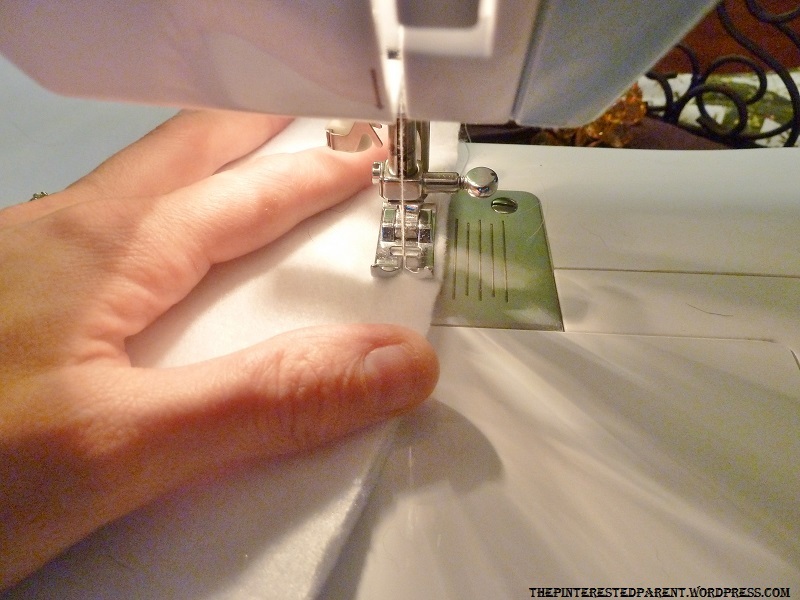 Sew the bottom shut & then go and get a manicure because your nails look horrible. Repeat all steps except for filling with bean bags & cardboard to form a second ball. 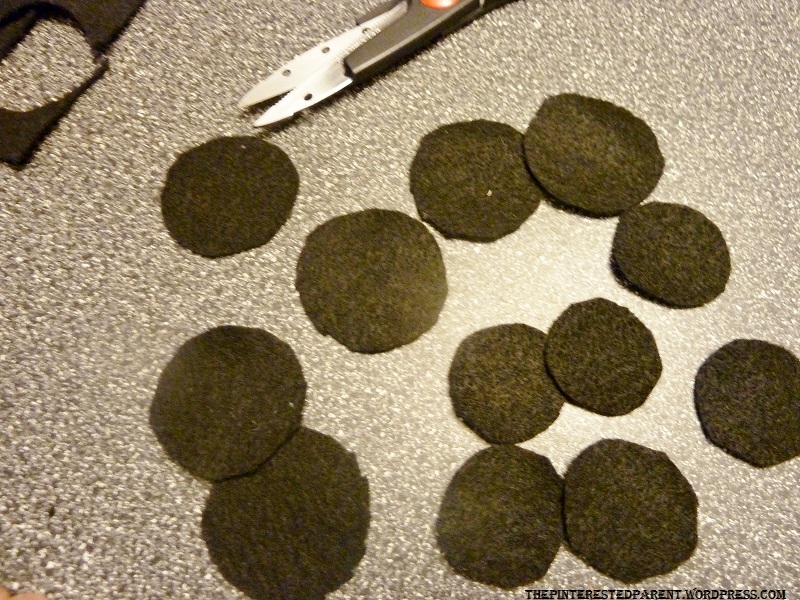 Cut out circles using the black felt. 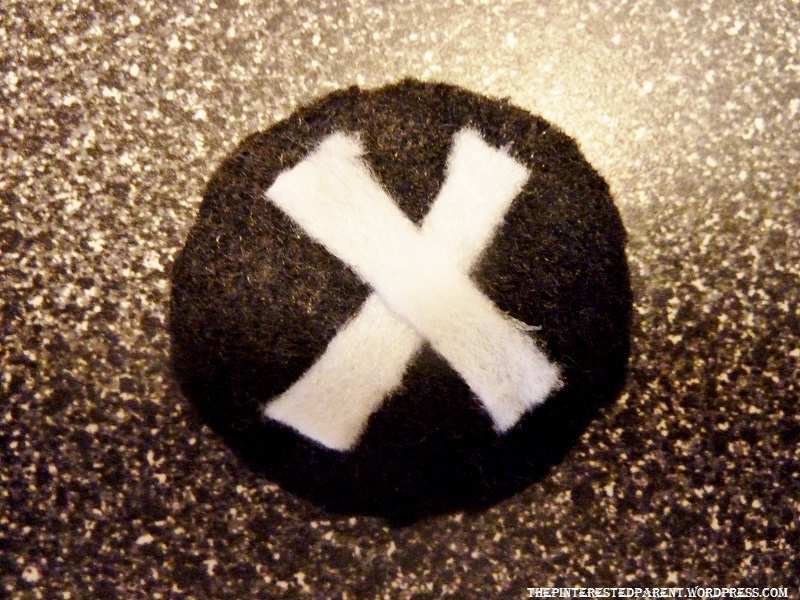 Cut on thin white strips to glue into the black felt to make it look like a button. 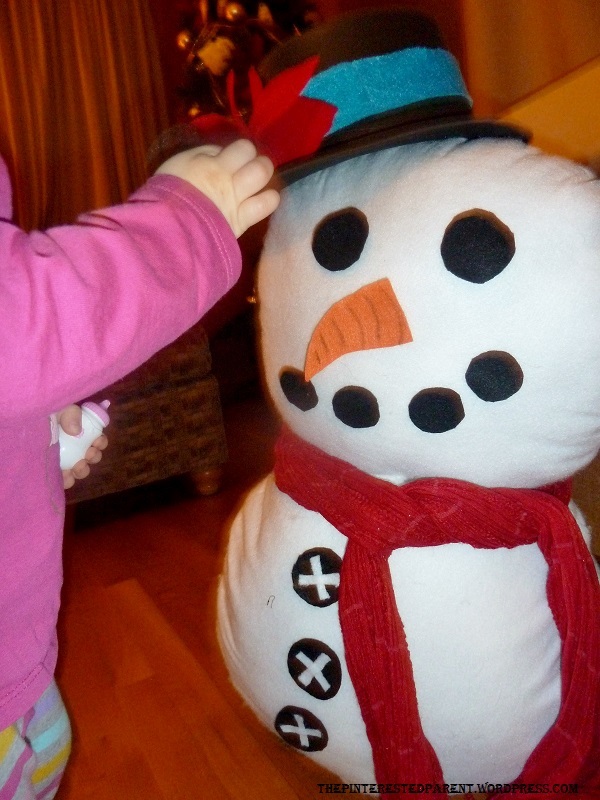 Cut out a carrot from the orange felt & make any other pieces that you would like for your snowman. 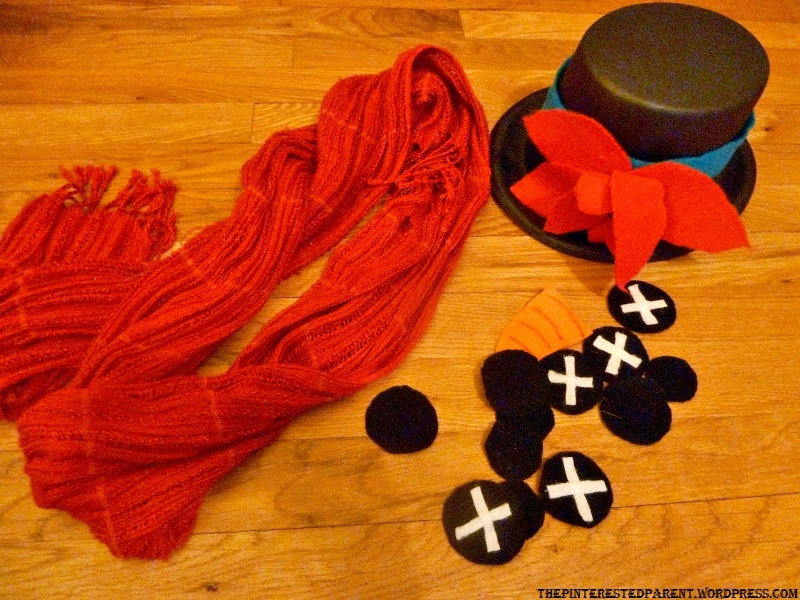 Gather a hat & scarf. Thanks Janine. I am not the best sewer myself. This is kind of a hacked job, but it came out cute & my little girl likes it. That is all that matters. You have a wonderful weekend as well. Awe that is really cute! Looks like such a fun project. Looking like your sweet little girl has become quite fond of him. Sweet memories! Thank you. She did love him. She was trying to pick him up & drag him around the house. Oh my goodness! This is an awesome idea. 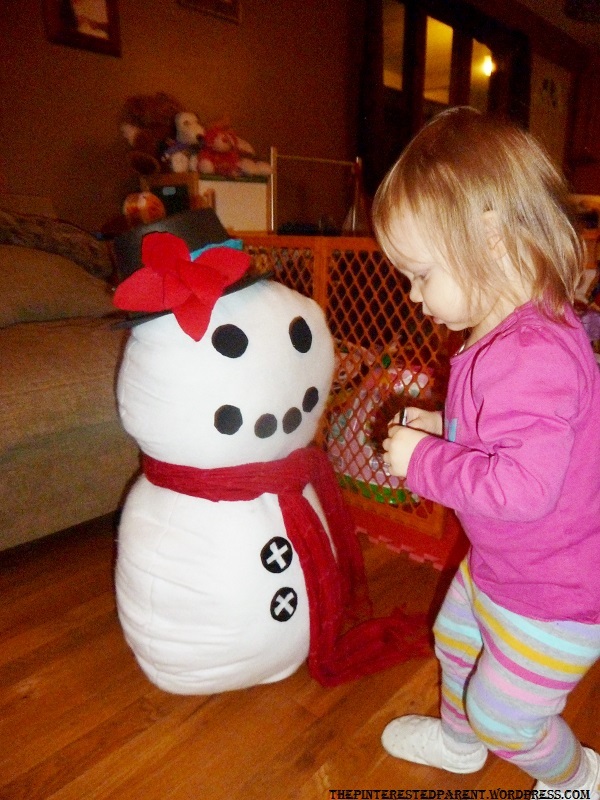 We live in Texas and not that it’s any where near the same thing our little one could build her very own snowman. Thanks so much for sharing! Thank you, Chani. I hope you & your family have a wonderful holiday. 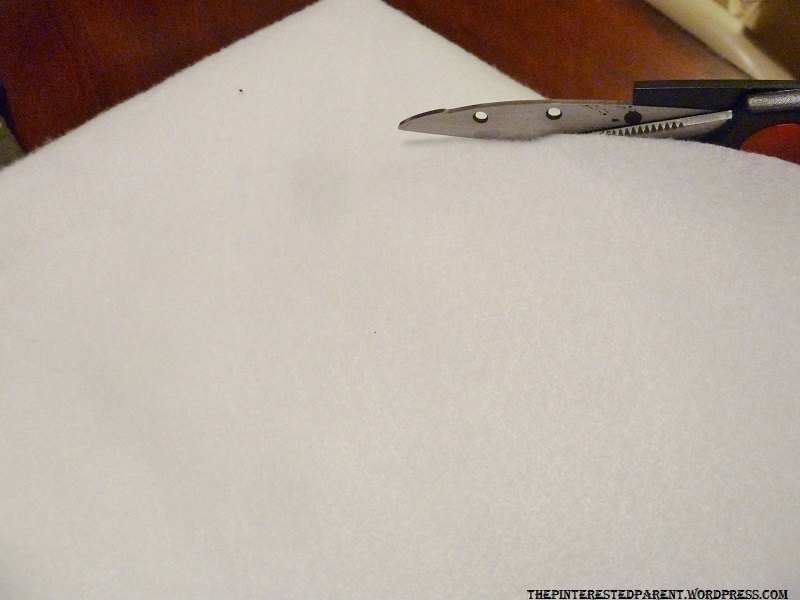 Do you know where I might find a simple tutorial for simple stitches?